However great it is staying in a beautiful surrounding, the crowning is of course a comfortable hotel room. Hotel-Restaurant Jägerhof offers 55 spacious and comfortable rooms. All the rooms are non-smoking and various rooms have a balcony. Comfortable hotel room for one person with a desk, television, Telephone, small fridge and free wireless internet access. The bathroom provides a shower, toilet and hairdryer. 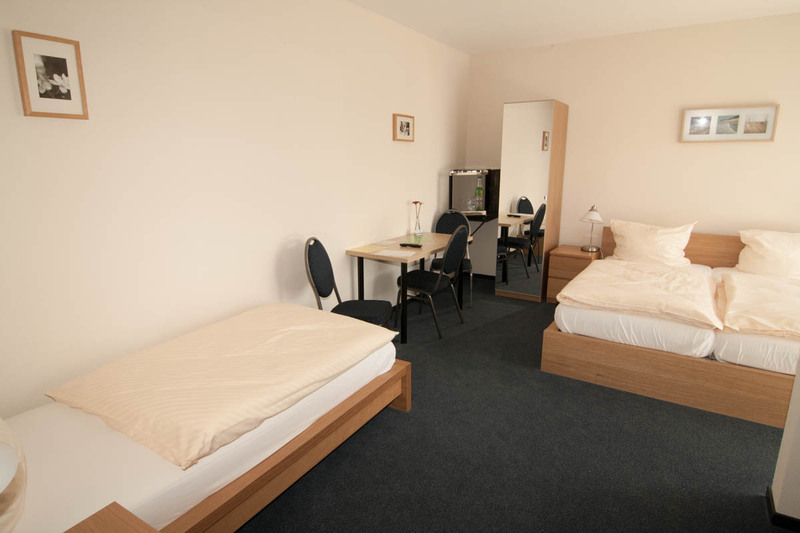 The double room ensures a pleasant stay. The room is provided with two single beds or a queen-size bed, desk, television, Telephone, free wireless internet and a small fridge. The Bathroom is equipped with a shower, toilet and hairdryer. This hotel room accommodate three persons. The room is provided with a queen-size bed and a single bed, desk, television, telephone, free wireless internet and a small fridge. The bathroom is accommodated with a shower, toilet and hairdryer. Comfortable room that accommodate four persons, suitable for families. 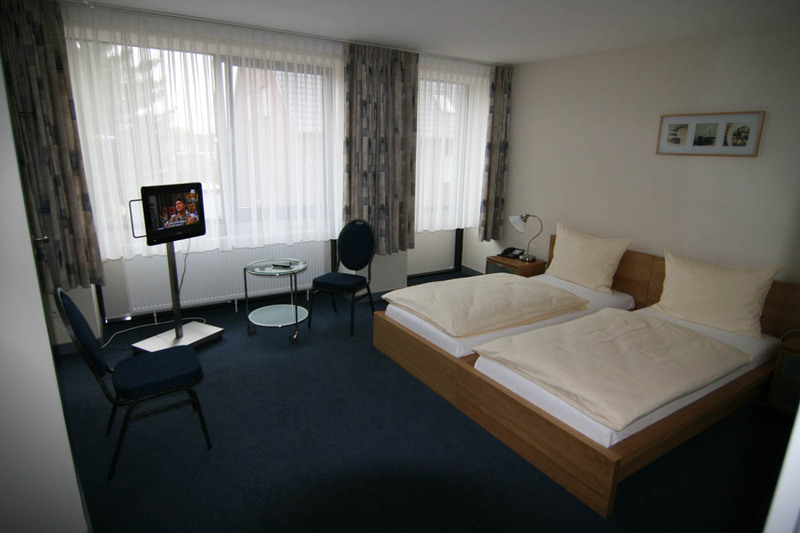 The hotel room is accommodated with two queen-size beds, desk, television, telephone and free internet access. The bathroom is provided with a shower, toilet and hairdryer. Five Quadruple hotel rooms are equipped with a kitchen. If you prefer one of the rooms with kitchen, please contact us.